Looking for a unique family experience? Following an enjoyable & busy day at the LEGOLAND® Windsor Resort, the Novotel London Heathrow is the right place to relax and re-energize. There's plenty to keep your kids entertained including a welcome gift, a fun-filled play area, swimming pool, face painting, movie nights, arts and crafts, plus much more! * And whilst the kids are being entertained, the big kids can sit back and unwind while the team of cheerful and friendly ambassadors make you feel at home. From barbecues to themed dinner nights, the hotel has a range of different dining options for you to enjoy. Whether you want to be active in the gym; take a splash in the pool or just chill out with a glass of wine in our garden patio area; the Novotel London Heathrow is the place to be. 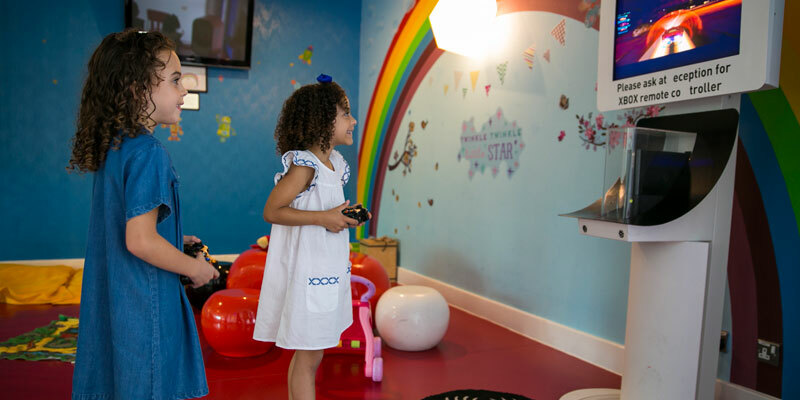 Located just a short drive from the LEGOLAND Windsor Resort and with easy access to all road links, this hotel is an ideal base from which to enjoy your Theme Park adventure and beyond! Earliest check-in time is 14:00 pm unless otherwise arranged. Latest check-out time is 12:00 midday unless otherwise arranged. The Hotel does offer an Express Check Out Option. Please contact the Hotel directly about this. Guests are able to leave their luggage with reception whilst they visit the Park. There is a swimming pool at the Novotel Heathrow. Opening times are 6am - 10pm. The Novotel Heathrow offers some special extras, such as activity packs, themed place mats and pool inflatables for children and babies. There is free Wifi available throughout the Novotel Heathrow. This Novotel Heathrow offers accessible rooms and is fully accessible. There is a Full English buffet breakfast included in your package at this hotel. There is a children's menu with healthy options available. The Novotel Heathrow offers 24 hour room service with a limited menu after midnight. Please note there is a tray charge of £3. Triple rooms: Triple rooms consist of one double bed and a sofa bed. Our Family rooms consist of one double bed and one double sofa bed and Can host up to 4 People whether it is 2 Adults & 2 Childrens or 3 Adults & 1 Child. Cots cannot be added to family rooms for four people. Family rooms can accommodate up 3 adults and a child or 2 adults and 2 children, however please be mindful that the sofa bed is smaller than a standard double bed. Keep left at Cherry Lane. The Novotel Heathrow is located 11 miles from the LEGOLAND Windsor Resort and is 1.5 miles from West Drayton train station. 2nd day free and LEGOLAND theme park tickets are based on park opening times. Exclusions may apply. *Please note: activities are subject to change and availability.